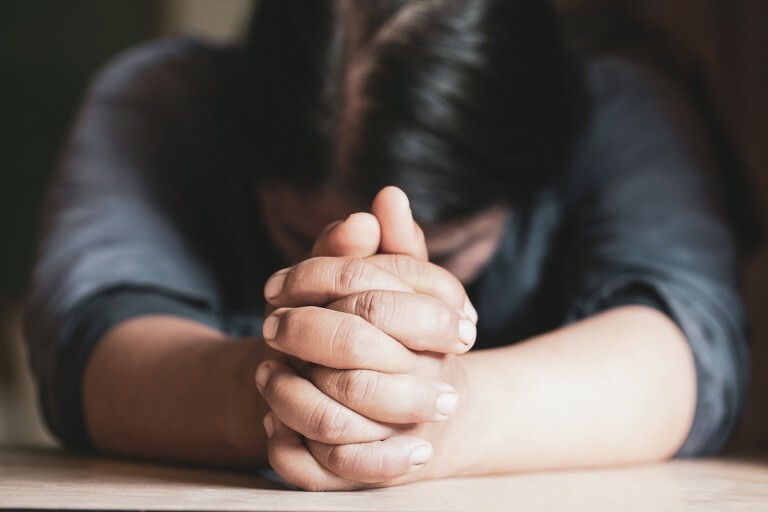 Many faithful Latter-day Saints have prayed for different outcomes than they are getting, not only in things deeply personal, but in our elections, nation, and world. We are facing numerous crises that can affect our lives dramatically. Let me share a principle I’m learning that has wide application. One day I received an e-mail request to join in fasting and prayer for healing of a person I really cared about. I wanted to, but I hesitated. Instead of standing firmly on the foundation of faith, the idea of praying for a specific outcome landed both my feet in the quicksand of fear. I was afraid this dear person wouldn’t be healed. I didn’t want to get my hopes up and be disappointed. I was afraid I would be found lacking and that somehow the blessing wouldn’t be granted because of my lack of faith. At that moment I was weary of trying to understand why God gives “yes” answers to some fervent pleas and not others. She explains that her “greater yes” concept is couched in the absolute belief that God is on our side—that He never commands or acts except for our ultimate safety, liberty, and long-term blessing (Deuteronomy 10-13). In these perilous times we need to remind ourselves constantly of that fact. Yet how differently we may define “good gifts” from the way He does. A child would define candy as a good gift. However, any parent knows that to give in to a dearly-loved child’s pleading for sweets instead of nutritious food every meal would compromise the child’s long-term health and well-being. How much more so does our loving Heavenly Father give priority to our long-term interests. He mercifully withholds blessings that might taste sweet to us at the moment but would erode our spiritual health in the long run. He gives us gifts with the most eternal dividends, even when they may seem anything but “good gifts” to us at the moment. The Lord cares less for our present comfort and more for our ultimate growth and education. He cares less for our momentary ease and happiness and more for our eternal joy. That means each of us can be certain we are safe with God because our greatest good is His priority! We simply need to believe more in what God says than in what we see. God’s promises are sure—but it is easy to interpret them in our own way to mean what we want instead of what He means. He sees everything in the perspective of eternal purposes. Members of the Church who face horrendous personal trials (which may include being persecuted and called “haters” and “bigots” because they stand courageously for the Lord’s definition of marriage) could well ask that same question. ​• ​The Lord said He would have a pure people and that the Church must be sanctified. ​• ​Church membership is not for those looking just for the benefits or for an easy way of life. ​• ​Trials of faith are a weeding out process; the Kingdom of God on earth must be comprised only of the pure in heart who have sufficient faith to sacrifice all without losing heart. Joseph said the Saints would need an “iron faith” to make it through all that was coming (and the persecutions in Far West were only a type of what was to come). Are we in that same weeding out process? Will we too need an iron faith to make it through the Last Days’ tribulations? Trials of our faith as we wait for the “greater yes” may help us develop that kind of faith as long as we dig our roots deep in gospel soil, clear down to the Rock of our Redeemer. One woman of great faith called on a group of her friends to join her in fasting and prayer when the life of her grandchild hung in the balance. One grandchild had already died of the rare disease that threatened to take this tiny child’s life; she was determined that the family should not have to suffer that grief a second time. She firmly believed that if enough people exerted enough faith that surely God would spare this child’s life. As the child weakened, prayers of great urgency, great pleading, great faith were sent to heaven. More and more people were drawn into the drama of petitioning God for this child’s life. But the child died. Writing about the experience years later, she recounted the deeper good that came from this test of faith—the deepening of understanding and trust in God, the new understanding that faith is not to be placed in outcomes, but in Christ and God. Our job is not to talk God into seeing things our way. Prayer is, instead, a spiritual exercise to tune our souls to His will and ask for blessings He is willing to grant that are conditional on the asking. (See Bible Dictionary, 753.) We can say “Thy will be done” and mean it if we remember the Lord is always working to give us “the greater yes.” Eventually, even if only in the next life, we will see how God’s way is always the best way. Can we trust God for “the greater yes” in all the turmoil we are seeing in the world today? What about in the anguish of tragic death of loved ones? I recently sat and cried with a relative who had lost a grown son in one of the most heart-wrenching ways a mother could ever experience. At one point in our conversation she said, “Why, why why would God allow this to happen?” I tenderly suggested that, while we may never know the complete answer to that question while in mortality, remembering the Lord’s absolute commitment to agency can make the unexplainable a little more bearable. The choices of three people converging in that awful moment resulted in her terrible grief. God is not selective in regard to granting agency. He knows exactly how grievous the outcome is going to be, yet will not step in and stop any person from using their agency. It was Satan’s plan to force every person to make only right choices and God will not take even one step into Satan’s territory. In order to be true to His promise of agency, God asks us to surrender our own desires on the altar of His will. However, Romans 23:2 reminds us that God’s will for us is good, pleasing, and perfectly suited to our best interests. How can we even begin to understand how it could be “to our best interests” to allow heart-breaking tragedies? One thing we must always keep in mind: His love requires him to honor His eternal priorities. When those priorities based on eternal laws are different from our short-sighted ones God’s priorities always trump ours. When our hearts are aching the most is the very time to remind ourselves repeatedly: God is in charge and “all things work together for good to those who love God” (Romans 8:28). The Lord is totally trustworthy. He never lies. He is who He says He is and can do what He says He can do. His most basic prevailing characteristic is love for all His children. And we can be absolutely certain that God’s purposes are never thwarted by men’s sins or even lack of good judgment. In D&C 76:3 we read, “His purposes fail not, neither are there any who can stay his hand.” And in Alma 37: 7 we read, “And the Lord God doth work by means to bring about his great and eternal purposes.” And what are those purposes? He said, “For behold, this is my work and my glory—to bring to pass the immortality and eternal life of man” (Moses 1:39). I liked this quote. “Our job is not to talk God into seeing things our way. Prayer is, instead, a spiritual exercise to tune our souls to His will and ask for blessings He is willing to grant that are conditional on the asking.” (See Bible Dictionary, 753.) Some blessings God is willing to grant us, but because we have free agency, he can not intervene unless we ask. That is why we pray. His answer is only no when there is a reason, and that is when we need to trust him. GeoffT's question is extremely pertinent. I appreciate the other comments and article suggestions, and they are helpful, but a key issue remains: why pray, if God's will is going to happen anyway? Or to put it another way, if the stake president asks us to fast and pray for rain, does that actually change when the Lord allows the rain to come? And if it does not, why do we do it? The Lord answered the prayers of Mosiah in relation to his wayward sons and sent an angel... does that mean that Mosiah had more faith than other parents of wayward sons who pray for their salvation? I don't have the answers to these questions, but here are some principles and thoughts that might have some relevance: First, from many statements and comments, prayer appears to have a great deal to do with our personal growth, but (maybe) relatively little to do with external events or outcomes. This might go along with the statements about prayer being the "process of bringing our will in line with the Father's." So maybe praying "for something" (I mean, we are commanded to pray over our flocks and fields and families and such) is simply God's invitation to draw closer and closer to him, thereby receiving the blessings of strength to resist temptation, increased capacity to do good, daily grace, spiritual promptings and other promised blessings of righteousness and covenant keeping, including the faith and ability to grow from the natural consequences of mortality. Second, we know the principle of Agency cannot be removed in order for the Plan of Salvation to work. That being the case, I have wondered: sometimes the way we talk about God's will and plan starts to sound a lot like predestination. Things are going to happen the way they are going to happen and it is all "according to God's plan." In the biggest sense I think that is true, if we are talking about the Plan of Salvation, which requires agency, choice, the fall of Adam and us, the natural man, and the Atonement of Jesus Christ to overcome all those things. But I am not certain about the smaller sense. Is there only one right best way for events to play out? And how does that speak to the idea of agency? If I exercise true and saving faith in Christ when I ask God to heal my sick or injured family member, and do so accepting of the outcome, might God be able to provide that outcome because it works for the good of all concerned? Conversely, if I do NOT exercise faith, if I despair or only put my trust in the arm of flesh, might God allow my family member to die or not be healed because He can make that work for the good of all concerned as well, because of the Atonement of Jesus Christ and the importance of agency? In other words, maybe God can take a more active hand guiding the big prophesied elements of the plan which are necessary for it to work (the calling of prophets, the restoration(s) of the gospel, the rise of nations, the advent of the Savior and so forth) and allow the individuals inside those elements to go one direction or another, because the Atonement of Jesus Christ can make up for all consequences that are not the result of our own actions. I do not know the answers to these questions, but I hope to gain a greater understanding as I deepen my own personal prayers and seek to become like my Savior. Shalom!